As everyone knows, an organization like Bay Area Non-Profit News cannot exist without the generous support of members of the community – both individuals and businesses. Support doesn’t only come in pennies and dollars, it also comes in services and equipment. 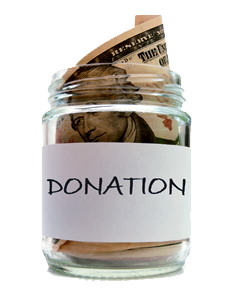 If you think that Bay Area Non-Profit News provides a useful service to your community, please consider donating* money or services today. If you’re not in a position to donate and still want to help, please consider patronizing our business donors and let them know you appreciate their support of the community. The Occasional Photographer – Our Founder/CEO, Lynda Williams, is The Occasional Photographer, and all start-up costs prior to any outside donations have come from her own pocket. Lynda also provides all the photographs on the page, unless otherwise credited. *Donations now are NOT tax-deductible, but will be within the next 30 days barring any hold-ups with the corporate registration.